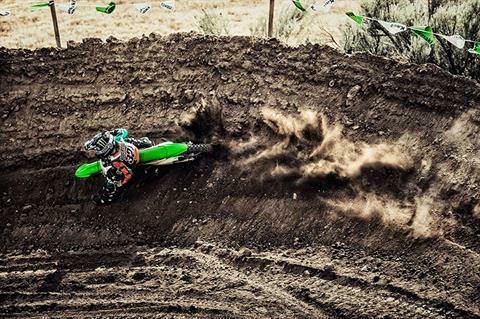 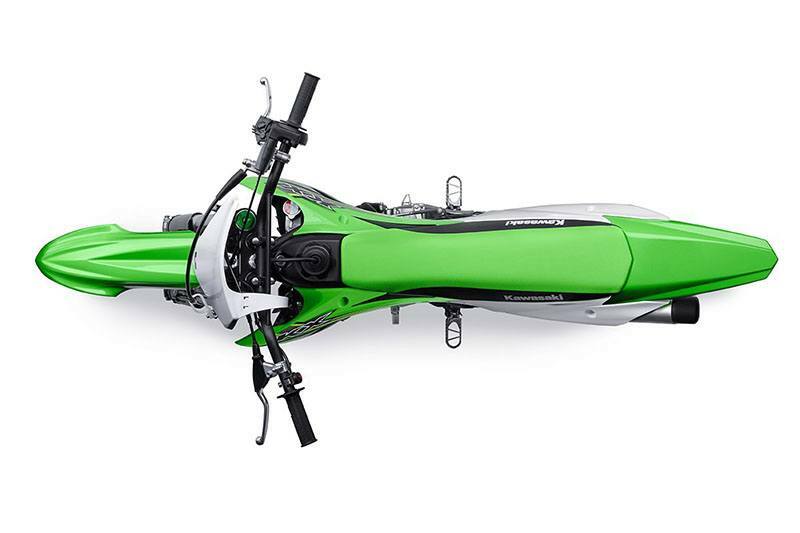 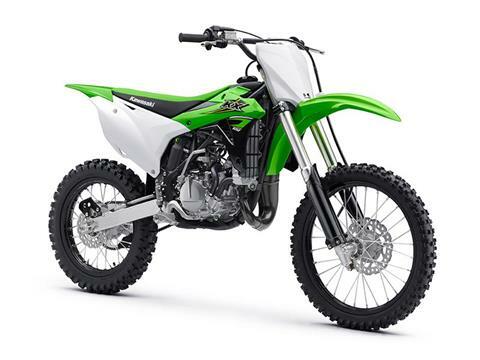 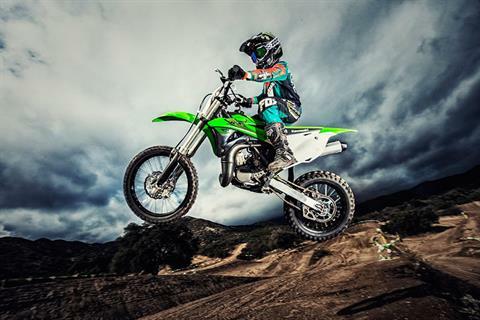 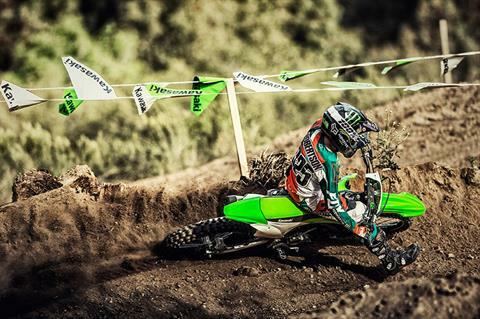 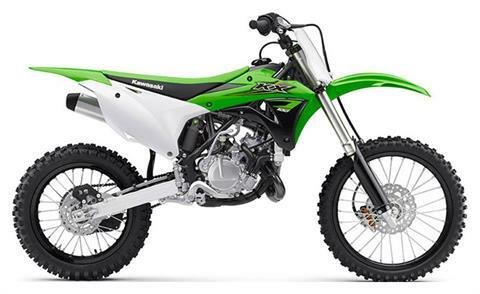 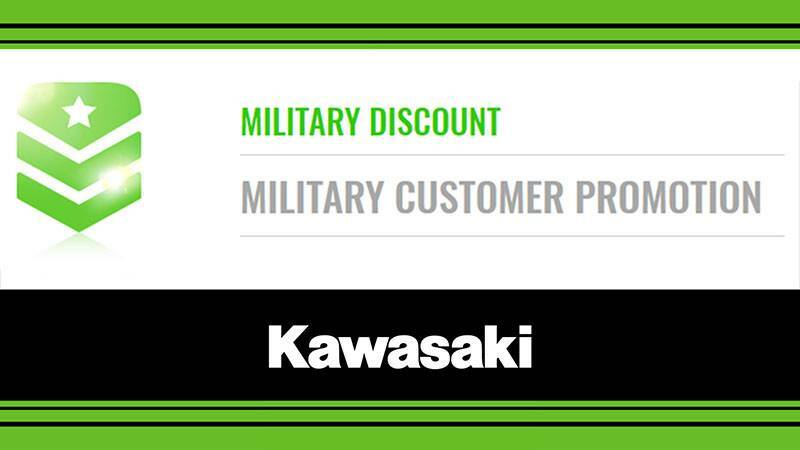 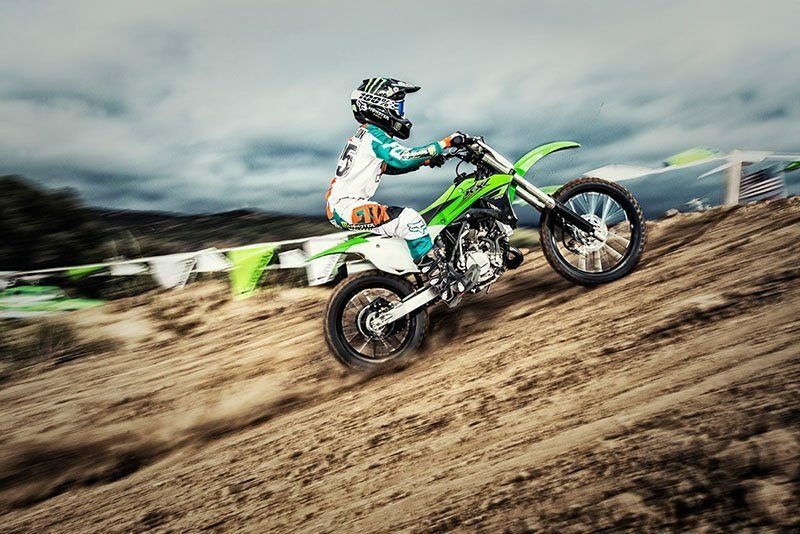 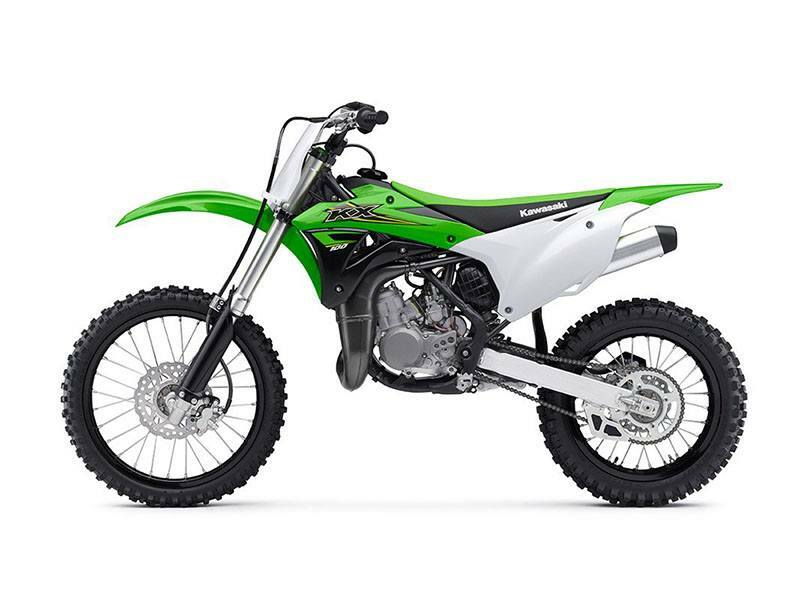 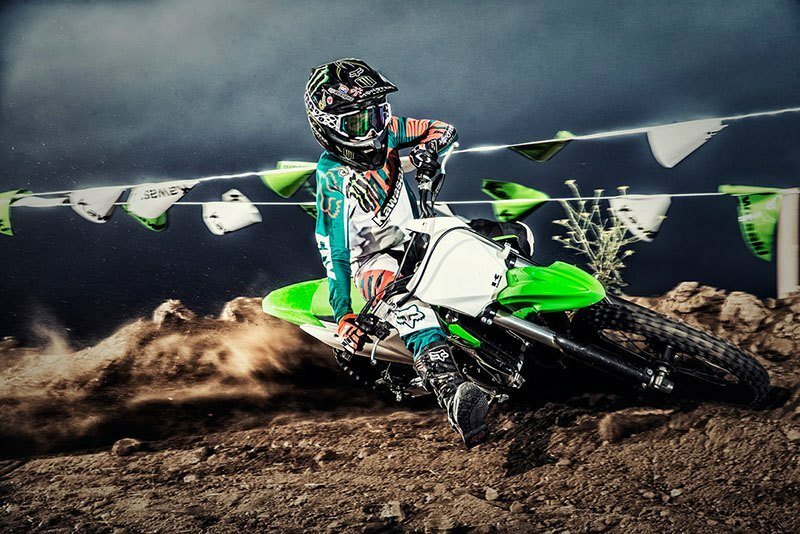 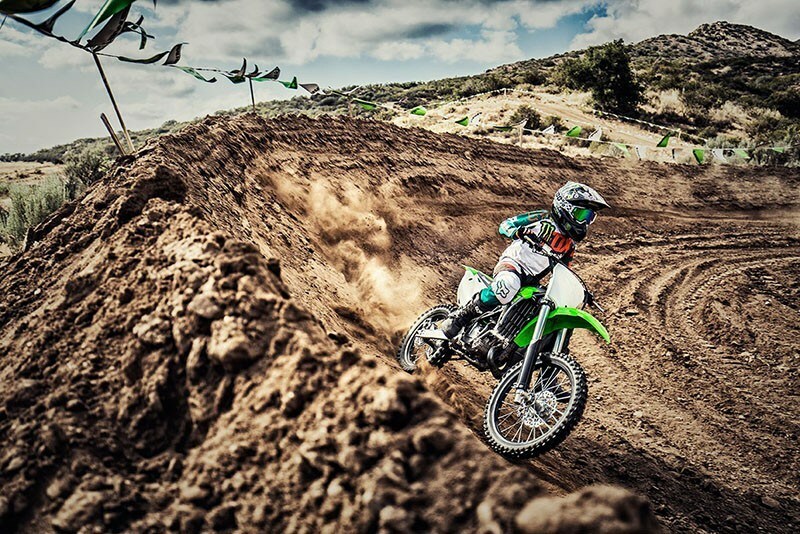 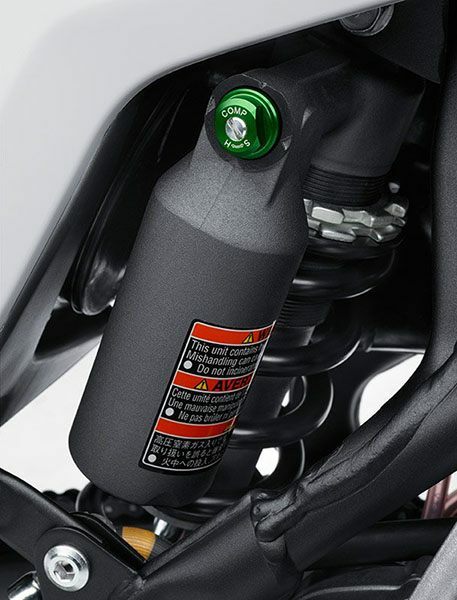 THE KX™100 MOTORCYCLE IS THE CHOICE OF FUTURE MOTOCROSS CHAMPIONS. 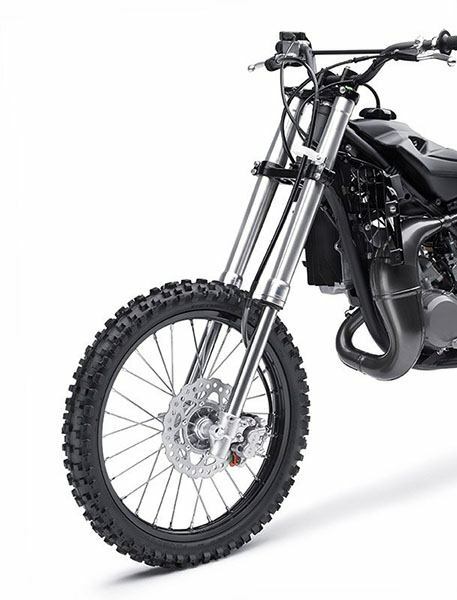 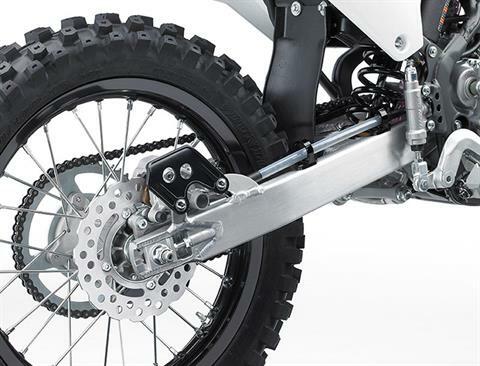 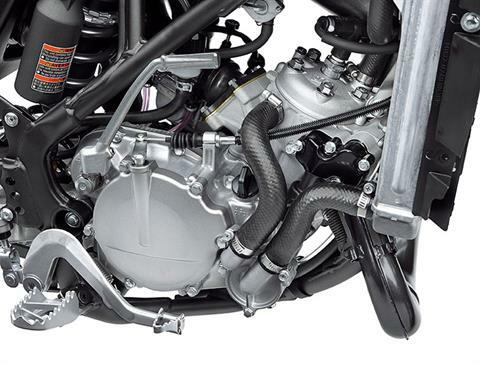 WITH MORE POWER AND LARGER WHEELS THAN THE KX™85, THIS TWO-STROKE SUPER-MINI GIVES RIDERS THE PERFECT BLEND OF PROPORTIONATE POWER INCREASE WITH A LARGER CHASSIS BEFORE TRANSITIONING TO THE BIG BIKES. 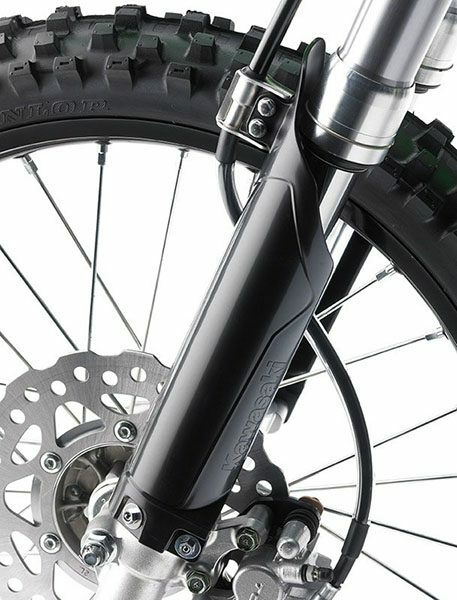 Front - 36 mm inverted telescopic cartridge fork with 20-way compression damping; Travel - 10.8 in. 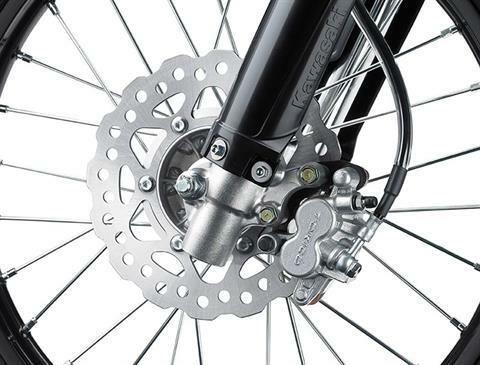 Rear - Uni-Trak® single-shock system with 24-way compression and 21-way rebound damping plus adjustable spring preload; Travel - 10.8 in.